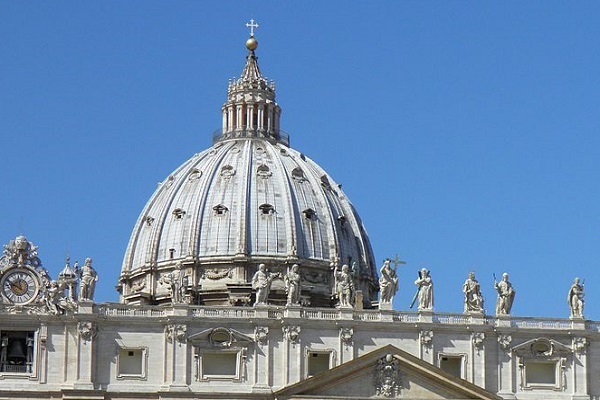 The Financial Information Authority, the de-facto financial watchdog of the Vatican, has assumed responsibility for examining all suspicious donations made to charities in the name of the Vatican. The AIF will also investigate foundations. These actions form a component of the new financial reforms initiated by Pope Francis. The AIF annual report showed progressive consolidation of all reports with the aim to import the Vatican into international norms compliance for terrorist financing and money laundering. The AIF was set up to fulfill two roles: serving as the financial intelligence unit of the pope and supervision of the Vatican bank. Its list of tasks includes the collection and evaluation of suspicious transactions reports. The agency has stated in its annual report that a particular law has taken effect in November which needs all foundations and charities registered with the Vatican to report all suspicious transactions to the AIF. If this is not done, then the said foundation or charity could suffer sanctions to a maximum amount of 20,000 euros. Pope Francis has made cleaning up the Vatican finances a major issue from the time he ascended to his position in 2013. He has thus hugely increased the independence and the power of AIF. The AIF was a reactionary law to a particular recommendation made by Council of Europe. The latter recently inducted the Vatican when the Holy See was desperate to lose its image as a minimally regulated offshore tax destination. The Vatican has already scored a few: it even secured a first financial crime linked conviction traced back to a suspicious transaction done by a non-profit registered to the Holy See. The case involved the fundraising foundation of Bambino Gesu Pediatric Hospital in the Vatican. A former president of the hospital was convicted on charges of abusing the powers granted to him by his office. It was discovered that he diverted almost half a million euros solely to renovate a top-ranked Vatican cardinal's penthouse apartment. In yet another case, the AIF clarified initial suspicions concerning the origin of funds which were donated to a Vatican-linked Catholic charity by a foreign company. This permitted money to flow into the system. According to the AIF, 2017 witnessed about 150 “Suspicious Activity Reports” being filed in 2017. This is a decrease from 544 in 2015. There were 207 reports in 2017.